Cones were inscribed and used mostly for votive purposes. They were placed in the walls of dwellings and public buildings as nails and a number of them were set in the foundations of buildings. 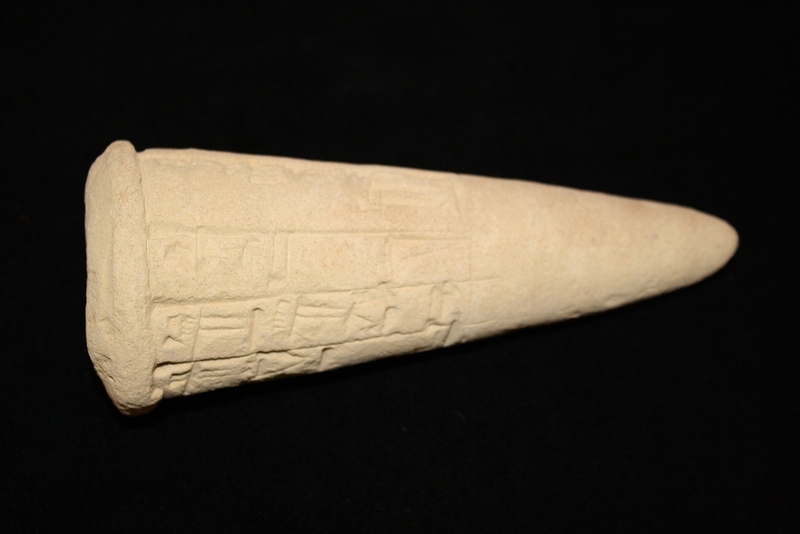 This cone was placed in a building commissioned by Gudea. This entry was posted in cones, Gudea (c. 2141-2122 B.C.E. ), Lagash I and II Periods (c. 2570-2342 B.C.E. ), Royal inscriptions. Bookmark the permalink.